Just got a 1986 720 with the z24i engine. Doing repairs to hopefully get it smogged in the next couple weeks. It needs a new gas cap and is running rich, but also failed the visual inspection, as one of the vacuum hoses was disconnected. 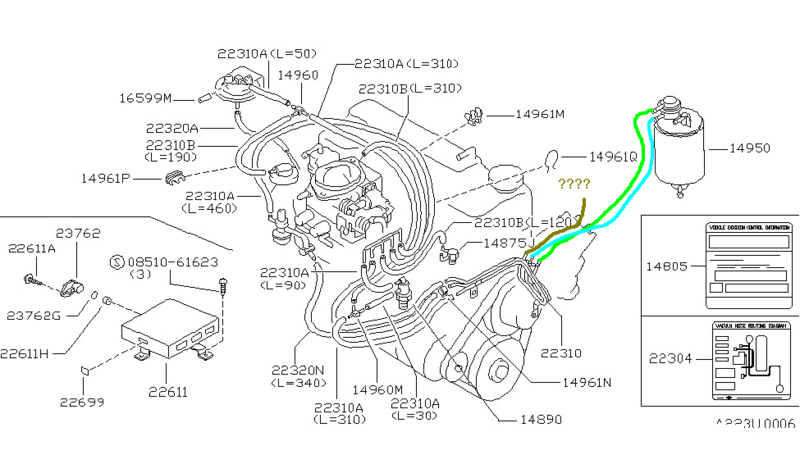 The image below is the vacuum diagram for the 720 z24i with the one line that I can't find a connection for. 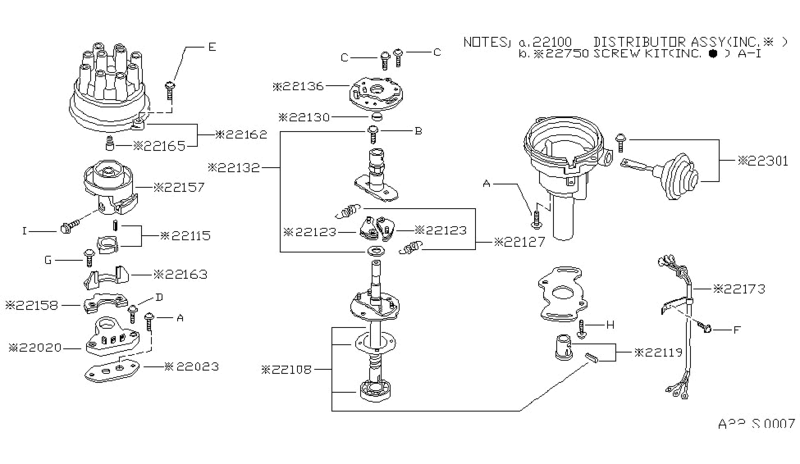 I know from the '86 service manual that on the carbureted z24 this hose connects to the vacuum advance, but my distributor does not seem to have a vacuum connection for it. 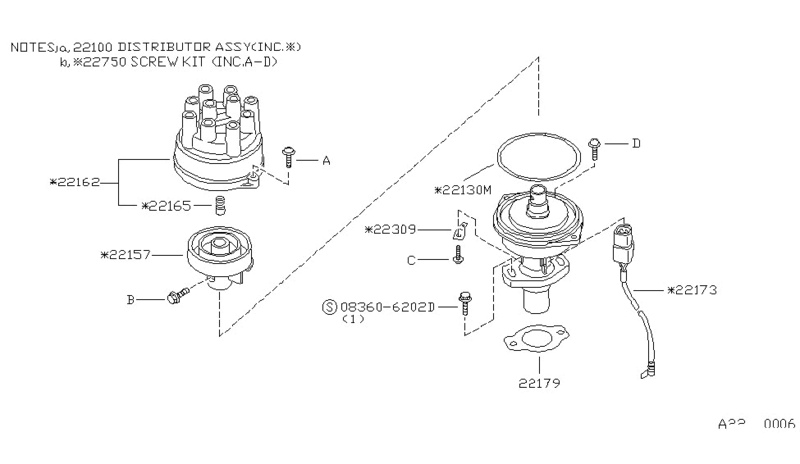 To corroborate that I have the correct distributor, these diagrams for the z24 distributor have a vacuum advance, while the z24i distributor does not. Where does that vacuum hose go though? anyone have diagrams or the supplement manual for the z24i? I have the same issue did you ever get this solved?